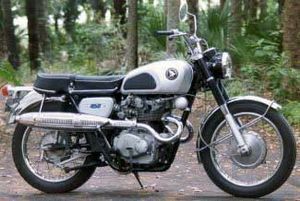 Honda motorcycle which began production in 1965 and was known as the Black Bomber/ Super Sport. The engine was a 444cc DOHC parallel twin It was a parallel twin DOHC Engine. It was produced until 1974. 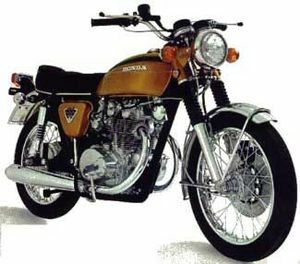 When Honda introduced the CB450, they served notice on the world's motorcycling industry that they could build large capacity machines that had superior performance and technical innovations than any European bike. Known in Europe as the "Black Bomber", this machine opened the door for the rest of the Japanese manufacturers to enter the big bike market. It was the bike that was supposed to put Honda on the big bike map with the likes of the British manufacturers, but in reality it didn't. That would have to wait 4 more years for the introduction of the Honda CB750K. It retained much of the looks of the earlier CB77 Super Hawk, but internally much was changed. 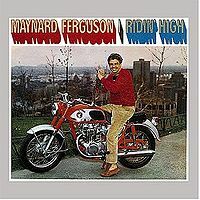 Early models featured a clunky transmission and finnicky carburetion. 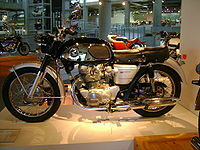 The CB450K0 was sold from 1965 to 1968 in one basic colour scheme- Black with Silver.In the USA,there were limited numbers of Red with Silver as well,but few exist today.In Great Britain,where sales were lukewarm,the model was revamped in Red with Silver,and also the very rare combination of Blue with Silver,in order to move the inventory. The gas tank, upper forks, and headlight shell were the primary colour. The side covers and fenders were silver. The gas tank had chrome panels with black rubber knee pads. The instruments were in the headlight housing. The engine was a 444cc DOHC parallel twin with dual CV carburetors. The transmission was a 4-speed. 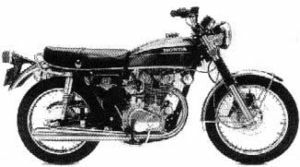 The serial number began CB450-1000001. 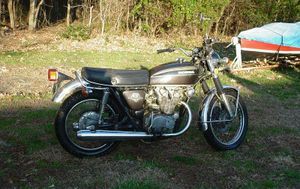 The CB450D (also designated CL450K0) was sold in 1967. The 'D' model was formed out of an attempt to move CB450K0 'Black Bombers' that were not selling, sitting on the US dealer showroom floors. Honda produced a dealer installed 'kit' that transformed the standard CB450K0 into the 'D' model. Honda shipped its US dealers a package that included a newly designed tear drop tank (that became the predecessor to the CB450K1 tank), side covers, fenders, tailight, handlebars, special upsewpt exhaust pipes, and a new style seat to complete the transformation of the old 'hump tanked' Black Bomber , which was at the time referred to us the 'ugly duckling', this the reason for the new body work. It came in one color scheme: silver tank and side covers. The upper forks and headlight shell were black. The fenders were chrome. The two chrome exhaust pipes were upswept one on each side. The "450" side cover decal was on a checkerboard stripe. The engine was a 444cc DOHC parallel twin with dual CV carburetors. The transmission was a 4-speed. 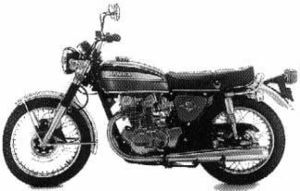 The serial number began CB450-1000001. 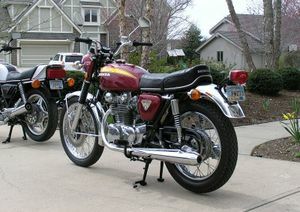 The CB450K1 was sold from 1968 to 1969 and came in one of three colors: Black, Candy Red or Candy Blue "Bankers Blue". The gas tank and side covers matched, while the headlight shell and fork covers were black (unlike all other models in following years). 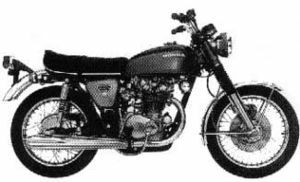 This was perceived by some to copy the look of the BSA of the same period, whose fork covers were typiccaly black (as was Triumphs). The K1 was considered the only real attempt to copy the British look of BSA, Matchless, AJS and other Brit brands (from the newly designed teardrop shaped tank with chrome side panels and knee pads, right down to the white piping on the seat and the new chrome fenders..a first for Honda, as all previous years and models had painted fenders). The seat top surface was a unique heavy 'alligator'grain, with smooth grain side panels, seperated by small white edge piping. The tail light lens had a rounded rectangular shape (last year). The original gas tank badge "HONDA" was the cast plastic type as used on the KO (also the last year for the round emblem). The simple '450' side cover emblems were thin stainless sheet metal (all later models used plastic) There was an independent speedometer, tachometer, and headlight unit (first year). 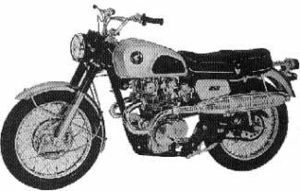 The engine was a 444cc DOHC parallel twin with an updated version of the crankshaft layout and crankcases,and revised dual CV carburetors. The transmission was upgraded to a 5-speed. 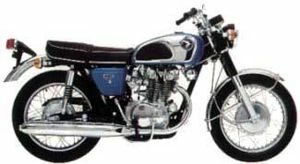 The serial number began CB450-3000001. The European version carried the same valanced fenders as seen on the K0 four speed,with the exception of their being chrome plated,and the speedometer read in KPH rather than MPH. The European model also used rubber fork boots 'gators' as the lower fork covers (as used on the US CL450K1 models) instead of the steel sleeve covers. Other than these few variations, the US model and European model were virtually the same. 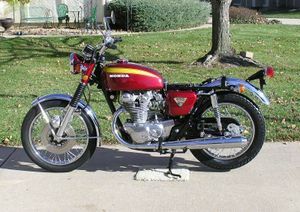 The CB450K2 was sold in 1969 and came in one of two colors: Candy Red or Candy Blue Green. The headlight shell, upper fork covers, gas tank, and side covers were the basic color (i.e., red or blue-green). There was an independent speedometer, tachometer, and headlight unit. The gas tank badge "HONDA" was metal. The fenders were chrome. The engine was a 444cc DOHC parallel twin with dual CV carburetors. The transmission was a 5-speed. 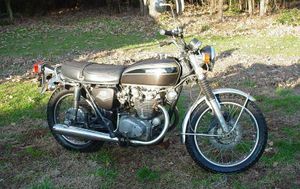 The serial number began CB450-3008956. 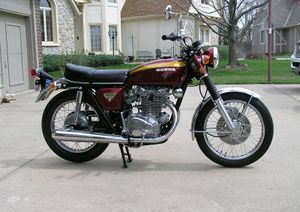 The CB450K3 was sold in 1970 and came in one of three basic colors: Candy Blue Green, Candy Ruby Red, or Candy Gold. The headlight shell, upper forks, gas tank, and side covers were the basic color (i.e., red, blue, or gold). The gas tank badge "HONDA" was metal. There was an independent speedometer, tachometer, and headlight unit. The fenders were chrome. The front braking system used a hydraulic disc. The fork boots were black rubber. The mufflers were megaphone-shaped. The engine was a 444cc DOHC parallel twin with dual CV carburetors. The transmission was a 5-speed. 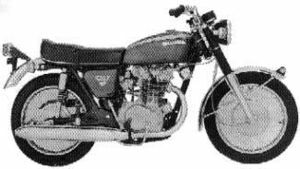 The serial number began CB450-4000001. 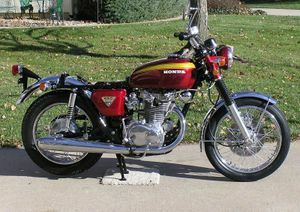 The CB450K4 was sold in 1971 and was available in one of four colors: Polynesian Blue Metallic, Candy Ruby Red, Candy Gold, and Valley Green Metallic. The gas tank, headlight shell, upper forks, and side covers were the basic color (i.e., red, gold, or green). The gas tank badge "HONDA" was metal. The side cover emblem reads "DOUBLE OVERHEAD CAM 450". The seat changed shape and pleating design. There was an independent speedometer, tachometer, and headlight unit. The front braking system used a hydraulic disc. The fork boots were black rubber. The fenders were chrome. The mufflers were megaphone-shaped. The engine was a 444cc DOHC parallel twin with dual CV carburetors. The transmission was a 5-speed. 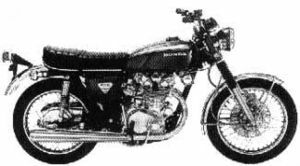 The serial number began CB450-4100001. The CB450K5 was sold in 1972 in one of three colors: Candy Garnet Brown, Light Ruby Red, or Candy Bacchus Olive. The gas tank and side covers were the basic color (i.e., red, brown, or olive). The gas tank badge "HONDA" was metal. The gas tank stripe was gold. The upper fork were chrome. The headlight shell was black. There was a chrome strip on the base of the gas tank. The side cover emblem reads "DOUBLE OVERHEAD CAM 450". The front braking system used a hydraulic disc. The fork boots were black rubber. There was an independent speedometer, tachometer, and headlight unit. The fenders were chrome. The mufflers were megaphone-shaped. The engine was a 444cc DOHC parallel twin with dual CV carburetors. The transmission was a 5-speed. The serial number began CB450-5000001. 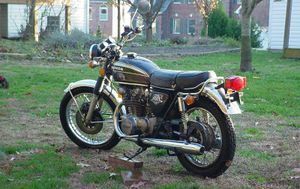 The CB450K6 was sold in 1973 in one of two colors: Brier Brown Metallic or Tyrolean Green Metallic. The gas tank and side covers were the basic color (i.e., brown or green). The gas tank badge "HONDA" was metal. The gas tank stripes were gold and black. The "450 DOHC" side cover emblem was white and yellow. The upper forks and headlight shell were black. There was a chrome grip pipe behind the seat. The front braking system used a hydraulic disc. The fork boots were black rubber. There was an independent speedometer, tachometer, and headlight unit. The instruments were tilted toward the rider. There was an independent light housing added between the speedometer and tachometer. The fenders were chrome. The mufflers were megaphone-shaped. The engine was a 444cc DOHC parallel twin with dual CV carburetors. The transmission was a 5-speed. The serial number began CB450-6000001. 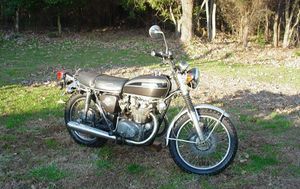 The CB450K7 was sold in 1974 in one of two colors: Candy Orange or Maxim Brown Metallic. The gas tank and side covers were the basic color (i.e., brown or orange). The gas tank badge "HONDA" was metal. The gas tank stripes were gold and black. The "450 DOHC" side cover emblem was white and red. The upper forks and headlight shell were black. There was a chrome grip pipe behind the seat. The front braking system used a hydraulic disc. The fork boots were black rubber. There was an independent speedometer, tachometer, and headlight unit. The instruments were tilted toward the rider. There was an independent light housing added between the speedometer and tachometer. The fenders were chrome. The mufflers were megaphone-shaped. The engine was a 444cc DOHC parallel twin with dual CV carburetors. The transmission was a 5-speed. 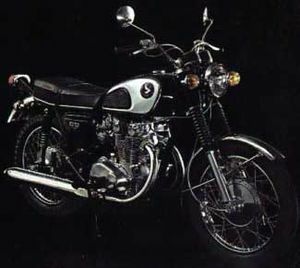 The serial number began CB450-7000001. This page was last edited on 11 December 2010, at 15:42.